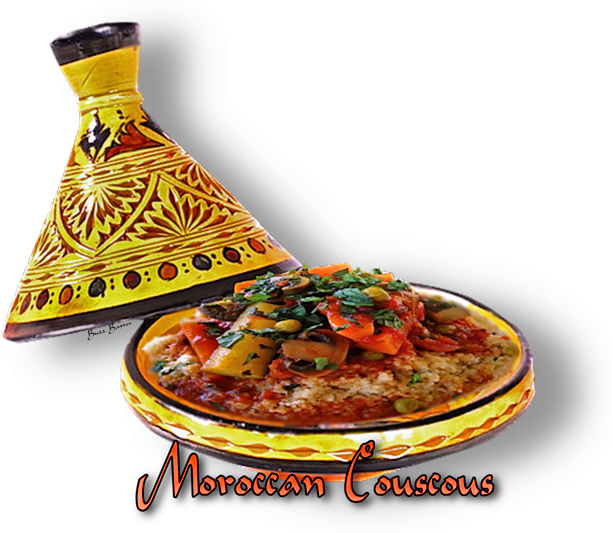 A steaming tagine filled with couscous and the aroma of seven vegetables. A North African feast served the Casablancan . A dish as tasty as it presents itself. discarding bones. Add carrots,  turnips and quince to lamb broth and simmer 30 minutes. 2. Meanwhile, in a separate saucepan cover squash with broth from lamb stew and simmer until tender. and steam 20 minutes. Dot couscous with remaining butter during last 5 minutes of steaming. squash. Strain broth, correct seasoning and moisten couscous and vegetables with broth.